Keeping in mind the precise demands of clients, we offer a wide range of In Shop Branding Service. These are rendered using best available technology and following international market trends. Our services are widely recommended by clients owing to its reliability. We offer our services at very reasonable rates. We take pleasure in introducing ourselves as leading firm by offering Outdoor Branding Service. 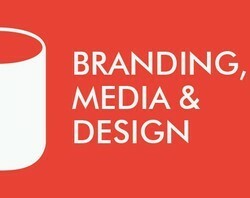 We create custom logo that increases visibility and credibility for your business. We create customized images required for your websites , web designs. Quality is the hallmark of our company, in order to maintain quality standards we are engaged in providing Vinyl Graphics Window Branding Service to the customers. The service provided by us is widely known for its effectiveness and accuracy. We provide service to the customers as per their needs and at market leading prices. Customized Event Decoration is highly demanded in today’s market. Client’s satisfaction with interest regarding us make us leading Customized Event Decoration provider. We ensure that service delivered in short period of time and rich in quality. This service accomplished under highly skilled experts. Our company has been acknowledged for providing Brand Designing Service to the clients. Brand Designing Service is carried out by our professionals, who are trained according to the specifications of our customers. Our team of professionals works in coordination and confidentially with the customers. The first essential step in branding: Naming and creating the logo. Let's do it right. Logo, business cards, brochures and other office stationaries are an indeliable part of your organisation which constantly reminds and sends out your brand message. Contact Asaavaa Medias to know about more about our corporate identity packages.